The Japanese for an avid and devoted reader, honnomushi (本の虫), is similar to the word used in English and many other languages, bookworm. The direct translation of honnomushi is book insect or bug. Bookworm and honnomushi, as well as being the common informal term for bibliophiles, is used in both languages to describe any insect that is thought to bore through books. Actual book-borers, unlike avid book buying readers in Japan, are actually uncommon. The Oxford Dictionary defines them as: “the larva of a wood-boring beetle which feeds on the paper and glue in books”. These pesky creatures that librarians have hated for centuries are sometimes referred to as booklouse (Liposcelis divinatorius). There are also some types of moths that are attracted to book bindings. Japan has one of the world’s highest literary rates and the average Japanese person reads for four hours per week – making the country very fertile ground for nurturing metaphorical bookworms. The term honnomushi is used regularly by Japanese bloggers in writing about the books they are reading. And there are many publications depicting book-loving bookworm characters, often girls, such as Bungaku Shojo (Literature Girl), a 16-volume light novel series by Mizuki Nomura about members of a high school literature club that has sold more than a million copies. There are many different terms in Japanese that use the word bug or insect; not just honnomushi. 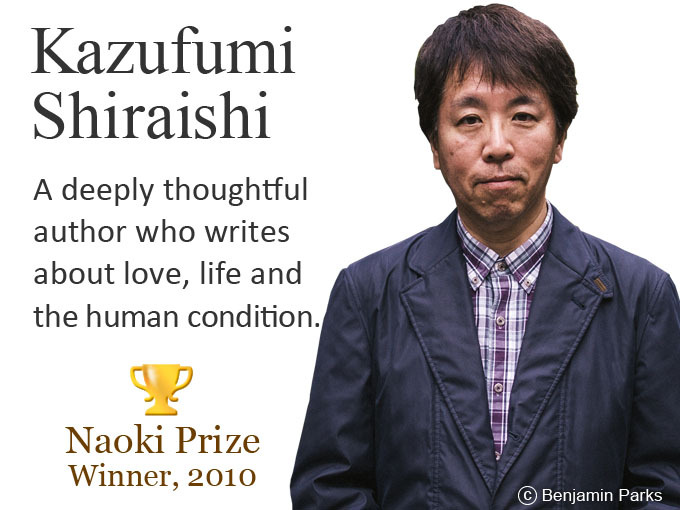 Other interesting examples include: mushinoshirase (message from a bug) meaning foreboding, hunch, a gut feeling; and mushinoiki (breath of a bug) meaning lifeless or barely alive, to list just two. Various theories exist about the origin of these phrases, but experts believe most of them may come from Koshin-Shinko, a type of Japanese folklore based on Taoist-beliefs including the belief that we are all born with three bugs or worms in our stomachs, which require careful management. Literary tourism is now a growing part of what is known in Japan as kontentsu tsurizumu (contents tourism). The term is used to describe tourism inspired by popular culture and includes both literary tourism and film-induced tourism. It is defined by academics, who run The International Journal of Contents Tourism, as “travel behaviour motivated fully or partially by narratives, characters, locations, and other creative elements of popular culture forms, including television, film, television dramas, manga, anime, novels, and computer games”. Historically, books like Snow Country by the Nobel prize-winner Yasunari Kawabata (1899-1972) have been used to market hot spring resorts such as Yuzawa Onsen, in Niigata Prefecture, that feature in the book, but literature in all its forms is increasingly being used very creatively as part of the government’s Cool Japan branding campaign to project soft power and increase Japan’s inbound tourism. The local government in Kagawa Prefecture, for example, sponsored a series of four romantic novels set in their prefecture, Japan’s smallest, by Thai authors titled: Kagawa, Let Love Lead. Thailand is an important and growing market for Japanese fiction in translation, as well as a rapidly growing source for inbound tourists since visa restrictions were lifted in 2013. Tourism has become a strategic priority and economically important to many regions in Japan. The number of tourists has trebled over the last five years, reaching an estimated 28.7 million in 2017. Local officials hope that the specially commissioned novels will increase awareness of their region and inspire more people to visit. There are now a plethora of literature-related tours in Japan. You might for instance, want to follow the steps of haiku poets, discover the locations in Haruki Murakami’s novels, or go in search of those locations that feature in Japanese crime fiction popular in China. There are also countless websites and posts providing recommendations on social media sites for the world’s book lovers who plan to visit Japan. So much so that Kadokawa, one of Japan’s major publishers, has set up its own travel company, Cool Japan Travel, Inc to increase demand and provide those who have embarked on a literary pilgrimage to Japan, a better and more memorable experience.